M1, M2, and M3 are members of Team Ichigaki in the Dark Tournament. Their real names, however, are, in order, Yen, Kai, and Ryo. Every since they were children they were trained by their master, Mitamura, and learned martial arts. However, when Dr. Ichigaki poisoned their master, the three gave their freedom up to get Ichigaki to heal their master. Dr. Ichigaki then implanted Blood-Slaver Nodes, which can only be removed at the cost of their host's life, on their backs, putting them under his complete control and largely increasing their strength. Their souls remained trapped inside and unable to do anything, although all three wanted to be free of Ichigaki at all cost, even death. Their souls did have some abilities, however, as shown by how they sent Kuwabara a message in their dreams explaining their pasts. All three of them are very skilled. M2 and M3's attacks are invisible to those without sufficient spirit training, in contrast M1 distracts the enemies with visible attacks. They fight extremely efficiently as a team, using their attacks to cover each other and keep their opponents on the defensive. The three make their first appearance during the preliminaries, where they win their matches without a single loss and easily kill a member of the opposing team who tried to kill them. The next day, while Kuwabara was sleeping, they sent a message to him that explained how they became Ichigaki's servants. In the Dark Tournament pairing, Team Ichigaki is the first team they fight during the main tournament and have a team battle with them against Yusuke, Kuwabara, and Genkai, where Yusuke and Kuwabara were initially unable to see though their attacks at all. 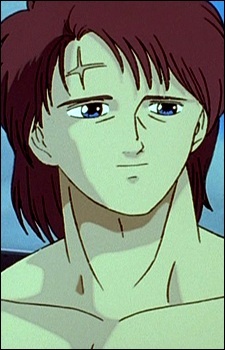 Under Ichigkai's commands, they neutralize Kuwabara from fighting, and the anger at Ichigaki gives Yusuke the ability to see though their techniques and attack them successfully. Genkai then used a special technique that gave their souls the strength to choose if they are corrupt or pure, and their souls removed the Nodes without killing their bodies, winning the match for Team Urameshi. Although at first they felt that they should not be allowed to see their master, Genkai explained to them how they were healed, and Mitamura forgave them. Kai then attempted to take Kuwabara's place in Team Urameshi to make it up to them, though the tournament rules forbade it. It is also shown that all three of them and their master made it out of the arena alive after the final matches.